Want to design your home or do a make-over but you do not have a budget? Don’t worry, for you can still design your home even if you are low in budget. You just have to be creative. Look into your home’s storage area, scout for items that you can still use and do some retouches on it. But before you start with your makeover, clean your home first. You can also list down the things that you will need so that when you start designing, you won’t look for items that you need anymore. It can help you save time, too. 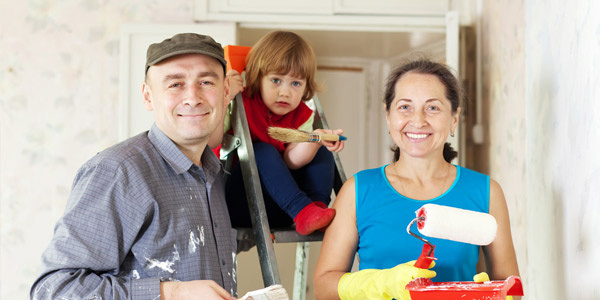 A home would look better if you paint it. Retouch your home’s interior using paint. Paint is not that expensive and you can use it on other areas of the home, too. Keep excess paint so that you can make use of it when you need to touch up a certain area. Look for colors that will make your room look brighter. 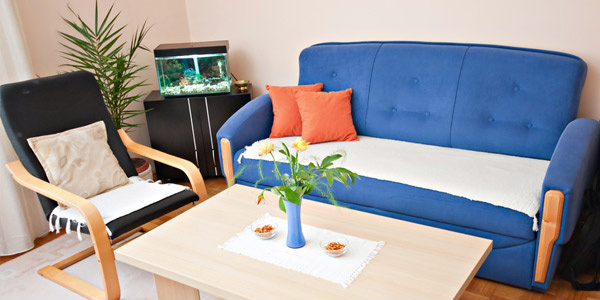 The colors of your interior are important since it can help create a good ambience to your home. You can use bright colors to make it look lively. You can also choose warm colors to set a relaxing aura. You can combine colors as long as they complement each other. Colors can be seen not just on your walls but also in your furniture, fabrics, accessories, furnishings and others. 3. Re-do items you own. If you have old stuff that are merely kept in the storage area, get it and make use of it again. An old rug can still look good if you cut the part that is still in good condition. You can also add some touches to an old lamp. Even old fabric covers can be repaired by adding some accents to it. You can save a lot of money just by doing this. 4. Shop second hand or on sale items. Go to bargain shops or look for some items on sale. Be sure that the items’ prices are worth the products you will buy because some are still expensive even if they’re on sale. Also, only get items that you need and that would fit into your interior so that you won’t be wasting your money. 5. Work with family and friends. Instead of paying for someone else’s labor fee, do the work on your own. Call your friends to help you or you can also do that with the family. Home decorating and designing is a good way to bond with special people in your lives. You will also enjoy working since would be fun to work with them. If you know how to sew, get your sewing machine and sew your throw pillow covers and other coverings for your home. You can even sew your own curtain. 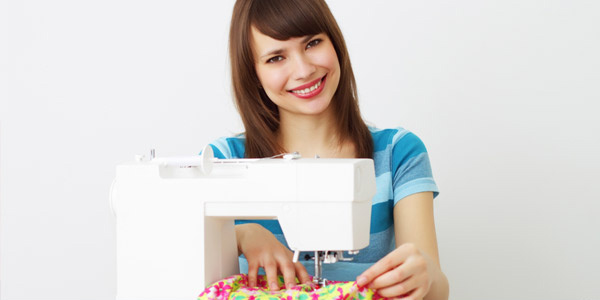 The good part of sewing is that you can customize your own design and make use of scrap fabrics. You will be able to express your creativity and get the look you want for your home. Instead of matching items, you can try mixing different items. It actually looks good to combine stuff. You can get an eclectic look or a shabby chic look or whatever look you want. You can also merely combine items and for sure, you can come up with a good interior even if you did not aim to get a certain design. Mixing can do wonders to your interior. For example, you can use an old distressed table as your living room’s center table and place some beautiful centerpieces. You can also use an unmatched nightstand to your bed. If you are crafty, make your own home decors. You can get old items and add some touches to them. Old picture frames can still look good if you repaint it or if you add some crafty designs on it. If you do not know how to make your own decorations, you can find DIY tutorials online. You might be using coverings for your furniture at home. So, instead of getting a new couch, make new coverings. This goes back to sewing your covers. It will surely be given a new creative look if you combine scrap fabrics for its cover. You can also try getting cheap fabrics. 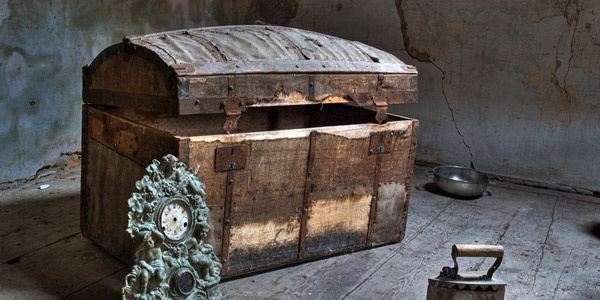 There might be old furniture that is merely stocked in your storage area. Take it out, clean it and try repainting it. You will notice that it looks great after you have done some repair and repainting. It can enhance your home’s appeal. Aside from the beauty it can bring, it can also be functional. Well, you do not need to spend a lot of money in order to get a new look for your home. You only need to be creative. Use your initiative and creativity in designing your home’s interior. You will feel a lot better that you were able to give your home a better look without spending a lot of money. Have you tried doing this to your own home? How did you design your home while on a budget? You can also check on House Design Tips to Ponder Before Building a House.